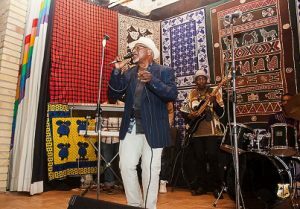 Swahili culture and language is one of the most extensively studied cultures in Africa which is spoken by more than 150 million people predominantly in Tanzania, Kenya, Eastern DR-Congo, Rwanda and Mozambique. It is also the fastest growing language in East Africa and it is used as lingual franca in east Africa. 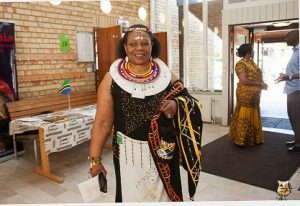 This year Swahili day celebration in Stockholm focused on women in Swahili culture, their contribution and influence. 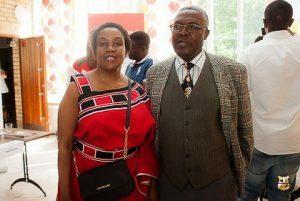 The opening remark was delivered by the Ambassador of Tanzania to Sweden, H.E Mrs. Dora Mmari Msechu. 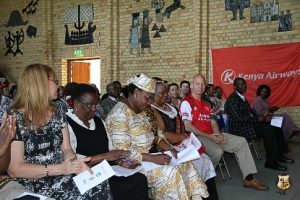 She thanked the people that came for taking part in the celebration of Swahili day and also highlighted the importance of Swahili language which cut across region. 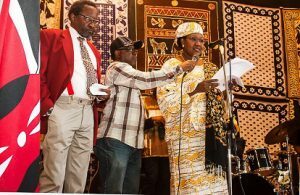 She encouraged the East African diaspora to spread the Swahili language among its members and also increase the spread of the language in Sweden. Professor Paula Uimonen, an associate professor at the department of Socio anthropology at Stockholm University was a guest speaker. 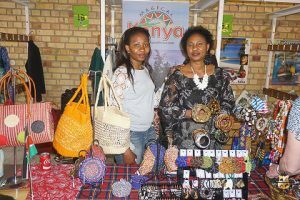 She spoke on women in relation to culture, education and digital media drawing experiences from Bagamoyo using the case study of Mama Yamisi on how she used the social media to grow her business and also keep her family connected. Prof. Paula has worked in Tanzania (Bagamoyo) for more than ten years and her expertise is in the field of digital anthropology. 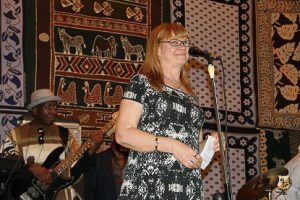 The guest of honour at the celebration was Professor Anne Kubai, an associate professor of World Christianity and Interreligious Relation at Uppsala University and also a senior researcher at Karoniska Institute. Prof. Anne highlighted things that matters to women in Swahili culture and that are organic and dynamic in the development of Swahili culture, such as the Kangas and Bil Kidude (Fatuma Binti Barake) in her presentation. 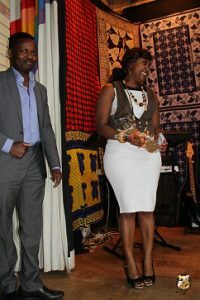 She spoke about the “kangas” in relation to the spread in Swahili culture and pride. The Kangas as further expatiated by Prof. Anne became the object of desire and not any other things for example jewelries because the kangas became a cultural symbol for women who at that time were able to buy items that will help them claim their new identity and expression of their new status from the colonial era. Today, the Kangas are worn throughout east African and in other parts of Africa by women of all faith. The Kanga play a key role in major life ceremonies like burial ceremony, marriage and so on. 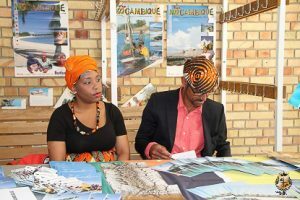 The inspiration behind the vibrant textile is the cultural content that brings satisfaction to the Swahili people that wear them which often has words written on them to convey the message across. 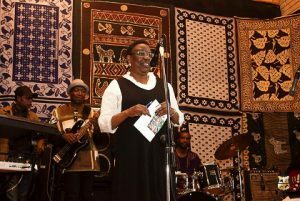 She also spoke about Bi Kidude (Fatuma Binti Baraka) because of her contribution to poetry, education and self-sustainability and as a champion for human right and gender right through her talent and work. 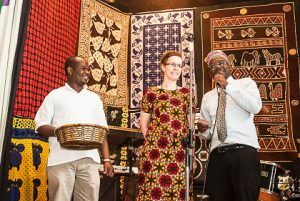 The Swahili day celebration also had a storytelling section for children which was put together by Matilda Wallin and Petra Szabo. 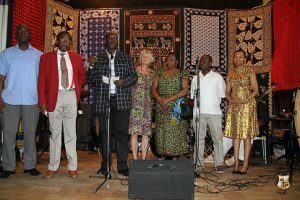 In close remarks by Swahili day organizing committee, Mr. Osore Ondusye encouraged more people to be involved in Swahili Day especially those that have interest in East Africa or Africa in general. Spread the Swahili culture and values among its diaspora and also entice the Scandinavians in order to expand the framework of Swahili. 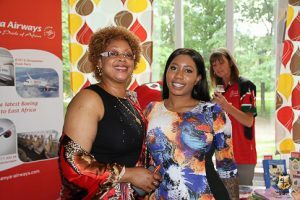 Swahili day celebration was organized by the embassy of DR-Congo, Embassy of Republic of Mozambique, Embassy of Republic of Kenya, Embassy of Republic of Rwanda and Embassy of Republic of Tanzania. 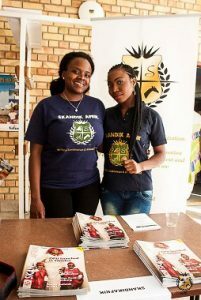 Asante sana! Thanks a lot!